OpenFeint has just added another round of cross-platform games to their repertoire with popular titles that include Bomberman Dojo and Frogger. Like they’ve already done with Fruit Ninja, MiniSquadron, and others, OpenFeint brings the ability to play against competitors on iPhone. Other features include achievements, friends, and universal leaderboards. Be sure to look for these new titles, as well as the previous games, in the Android Market! OpenFeint is also sharing some interesting details they’ve compiled over the last few months. The company now sees users in 176 countries across more than 143 different devices. OpenFeint has picked up 1.6 million devices on their network, netting more than 8 million downloads in only two months. Impressive to say the least! Hit the jump to read the full press release. 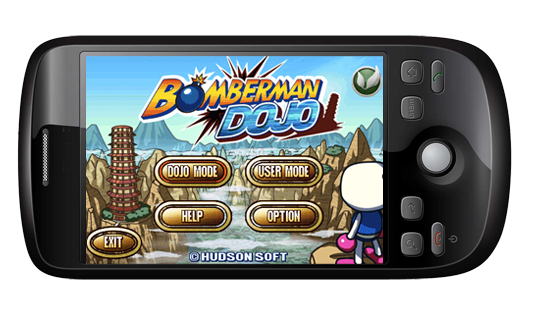 Burlingame, Calif. – November 23, 2010 – Today, to give thanks to the Android community for their warm reception of Feint, OpenFeint is announcing the release of 8 new games, including top hits from iOS, Jet Car Stunts, Frogger, Bomberman Dojo, Must. Eat. Birds, and Solipskier. OpenFeint’s game catalog for Android has quickly grown to over 100 games, generating 8 million downloads since launch.